Most of the study area – Gabriola, DeCourcy and Mudge Islands – relies on groundwater as its primary source of drinking and irrigation water. 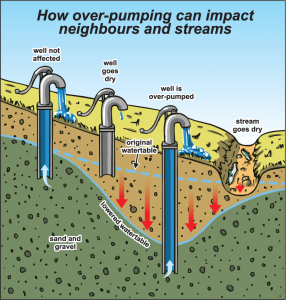 On Gabriola Island, groundwater in the fractured rock aquifers is recharged from rainwater. In light of increased development and climate change, there are concerns about the groundwater resources and its sustainability and quality: a view shared by many of the islands’ residents. The hydrogeological system has been reviewed and data gaps identified (See 4. Data Gaps). The residents and businesses use a shared groundwater resource that flows easily across property boundaries. Natural recharge from precipitation is estimated to be within a range of 10 to 25% of mean annual precipitation, although recharge remains uncertain and is likely spatially variable. Observations of water levels show a relatively quick but small rise in water level after each rainy period, and accumulating about 2 to 4 metres during the rainy season, followed by a slower decline during the dry season. Water levels do not appear to be declining from year to year; the aquifer(s) are generally fully recharged during the winter wet seasons. 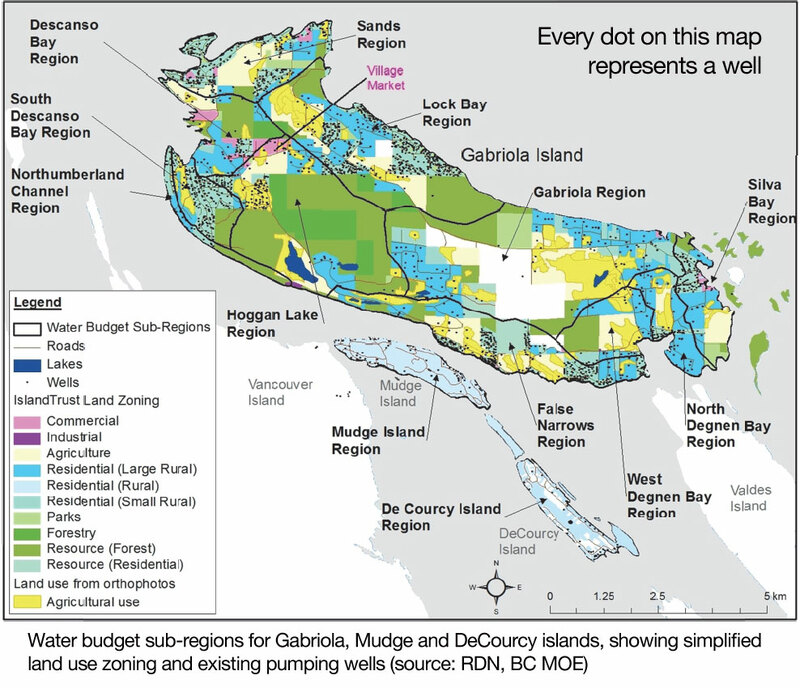 Total groundwater storage volume is large; being the greatest on Gabriola Island relative to surface area of the island and less (due to lower topography), but still significant, on Mudge and DeCourcy Islands. The stored groundwater provides a large reservoir of fresh water that is used to satisfy current pumping demand by residents during the dry season. 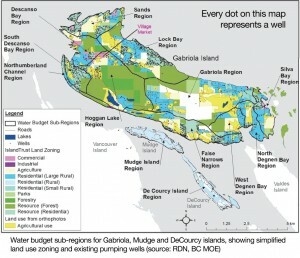 On Gabriola, pumping of groundwater does not appear to drain the aquifer storage significantly. 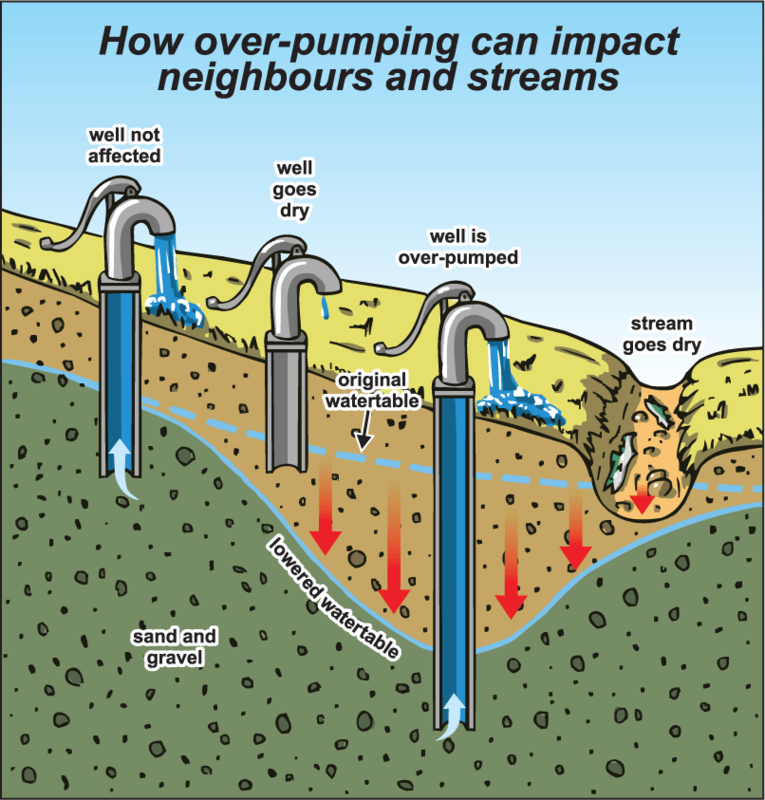 Locally on Gabriola, extraction can cause large drawdowns of the water table that can affect nearby wells, but these effects typically disappear quickly when pumps are turned off, showing no lasting negative effect. However, many residents use water storage tanks which are filled from groundwater wells. There is some interference between nearby wells and the more shallow wells may experience decreased water availability. Areas of dense residential development often occur on peninsulas and along shorelines; areas likely to be most sensitive to groundwater use because the area available for groundwater recharge is limited. On an annual time scale, it does not appear that any sub-regions are under significant stress. This is because the annual recharge appears to be sufficient to meet annual demand. On a monthly time scale, certain regions are probably under relatively higher stress or, in other words, in some months certain regions extract more groundwater from storage than is recharged. Recent water use surveys provide an indication of total pumping demand, but they represent only a small number of users; perhaps only those who are most interested in understanding the water resource situation. 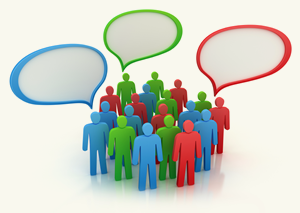 Therefore, assuming the same demand for all other users may not provide an accurate estimation of pumping demand. 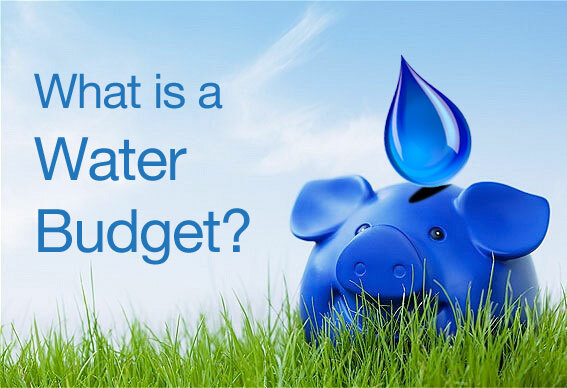 Water metering does not exist in most residential or commercial wells; thus, there are few actual hard numbers on which to base estimates. Prediction of future water stress will not necessarily be a simple task. The current positive situation could change due to population or water use growth and/or climate change, if it results in less groundwater recharge. That being said, past population growth does not seem to have had a significant impact on water levels in the aquifer as a whole; water supply problems are localized or seasonal. The seasonal cycle of aquifer recharge and discharge has not changed in a long time. There are things that can be done to provide a better ability to plan for the future. 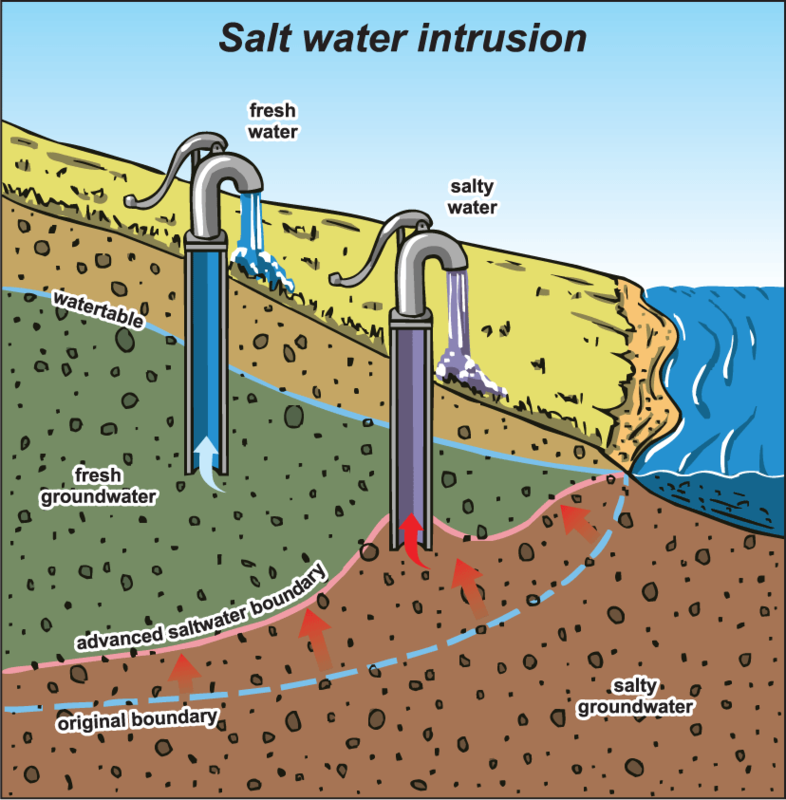 While it may be difficult to completely overcome uncertainty regarding certain features of the groundwater system that control how much groundwater can be extracted (e.g., recharge and storage quantities) some useful monitoring or testing can be done to narrow the range and allow on-going observation of how the aquifer is responding to use. Such methods were presented for consideration in Section 4.4. In addition, tools such as groundwater numerical models can provide a way to evaluate water-use scenarios or sensitivity to various assumptions, but these models will always be limited by available data, particularly at a local scale. Finally, water quality was not in the scope of this study on groundwater availability. 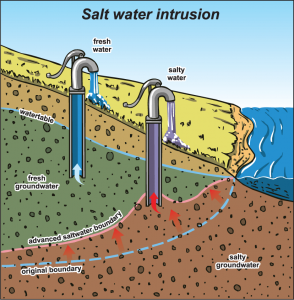 There has been an increase of seawater intrusion in some near-shore areas (but not all). In general, more awareness of the occurrence of saltwater intrusion should be made available to residents. Doing so would help avoid the costs of drilling new wells in the affected areas and also avoid drawing in additional sea water, which would worsen saltwater intrusion in existing wells.